This card is so cute, I cannot stand it!! This card is the second card for my class this month (the other card is yesterday's card!). If you are local, the class will be $5 on March 15th at 10 am. So cute! I didn't realize the mouse wasn't part of the stamp. 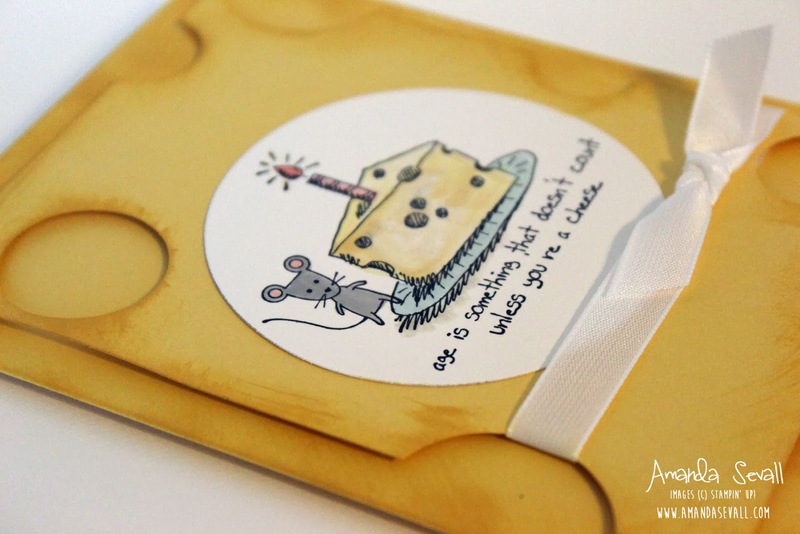 I really like the swiss cheese background. 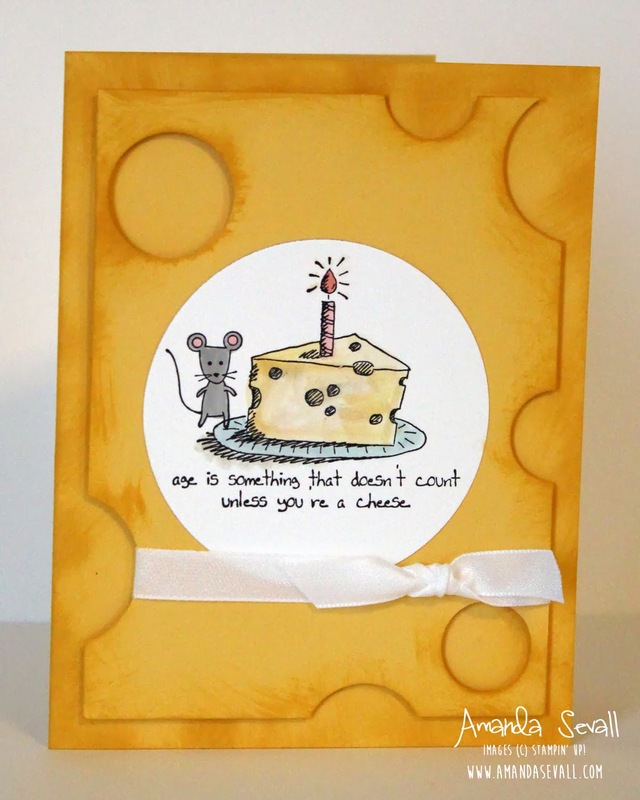 The swiss cheese background totally makes this card. Super duper cute Amanda!